Some people have said I should say 'who I am' to give a background to the things that I've said on this website. I originally thought that identifying the author was unnecessary as the ideas and principles described have to stand on their own irrespective of who wrote them. 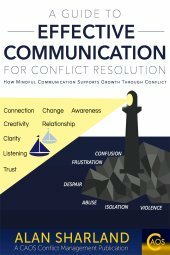 But as the number of people saying they thought it was relevant and of interest increased I realised that perhaps an understanding of the different contexts in which I have practiced mediation and training and consultancy in Communication and Conflict Management skills will give more of a 'feel' to what I say. This role involved taking in cases over the telephone and via referral from Housing departments and the Police and other agencies, as well as managing the progress of the cases once they had been allocated to Mediators. I am a recently resigned Primary Headteacher (and now Shaman) who used meditation, healing words, conflict resolution and emotional intelligence as my professional essence. You have added yet so many more pieces so beautifully, by this incredible site alone...thank you so much Alan. I then moved to another Mediation Service in Hackney, East London but was only there for a short while before I changed from working in the field of neighbour disputes to that of complaints made by patients about Doctors and Dentists and other Primary Care health professionals. This was fascinating in so many ways you could write a book about it, but one of the main issues that led to disputes was at root due to the amount of power and responsibility some patients will abdicate to their Doctor or Dentist with regard to their own health, and how much of the same some Doctors and Dentists encourage this in their patients. Inevitably this led to disappointment in the Healthcare practitioner due to the unrealistic expectations placed upon them, and defensiveness by the practitioners when they did not achieve what they would often 'promise' to. The lack of realism that underlay both sides' expectations of this relationship was always, in my view, down to ineffective communication - by both sides. There really is no point in laying the blame at the feet of the practitioner simply because they are the 'professional', which is sadly the common practice when we look at the effectiveness of many professions. The role of the 'client' or 'patient' or, simply, 'member of the public', plays an enormous part in the lack of effectiveness of many of our public services, and yet their role is so often seen as being just passive recipients of the services. Many of the examples I give from neighbour disputes on this site become chronic problems because of the expectation of total responsibility laying with the agencies involved in trying to 'rescue' the dispute while those involved remain passive recipients of that rescuing, as if they have no part to play in the resolution. As my path proceeded through these roles, I also became involved in training and consultancy work in Mediation and related areas such as Communication Skills and Conflict Management training, and I also began to practice mediation in other areas such as Disability Discrimination disputes, Special Educational Needs Disagreement resolution and workplace disputes. 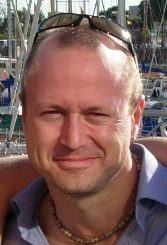 In 1999 I began work in Hillingdon, West London as Mediation Officer in the local authority. The role was created to enable the setting up of a Mediation Service in the London Borough of Hillingdon and in April 2000, Hillingdon Community Mediation began operating as an Independent Charitable Company and I was very pleased to be appointed as its Director. 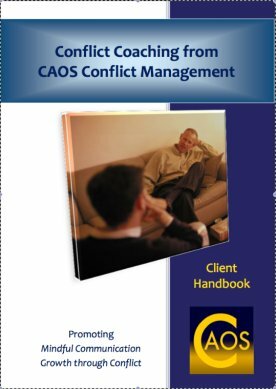 Unfortunately, due to local authority cuts, Hillingdon Community Mediation closed in March 2011 and so I have now set up my own organisation - CAOS Conflict Management, providing mediation, conflict coaching and training and consultancy in conflict management. So that's a brief history of how I got here. If you'd like to know how the website came out of that history click here. Thanks again for your interest and for visiting this site.